We are adept at handling cases that fall in the purview of Divorce Law. Over the years, we have constituted a team of highly experienced Divorce Lawyers In Delhi. Our Divorce Advocates in Delhi are adept at taking up cases involving matrimonial disputes, alimony, Custody of children, succession, wills and other similar matters. We offer to our clients our dedicated services and assistance in the field of Divorce Law. 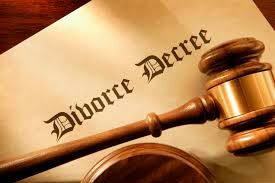 Our company holds a team of Divorce Lawyers In Delhi and Divorce Advocates in Delhi which is well versed in all the aspects and details regarding this field. We constantly innovate and improvise our resources so that we can serve our clients efficiently.